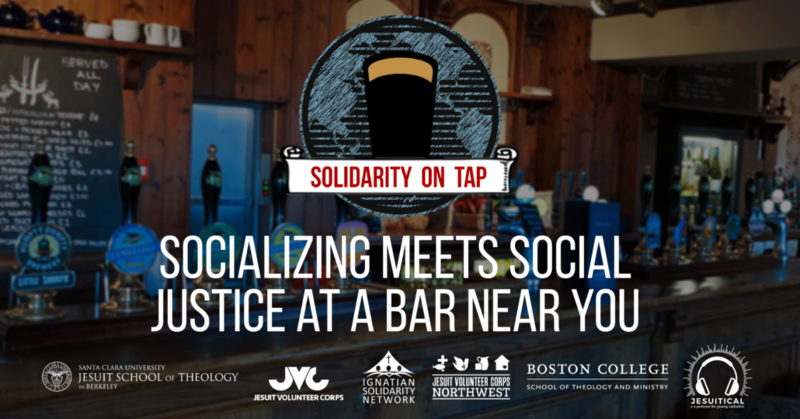 Solidarity on Tap is a simple interfaith intergenerational gathering for socializing and social justice. The Ignatian Solidarity Network, Jesuit Volunteer Corps, Jesuit Volunteer Corps Northwest, Jesuit School of Theology of Santa Clara University, Boston College School of Theology and Ministry, and Jesuitical along with the Church of St. Ignatius Loyola, the Church of St. Francis Xavier, and America Media and other local partners welcome all to Solidarity on Tap | New York City. Snacks and beverages (alcoholic and non-alcoholic) will be available for donation. All are welcome. Around 7:30 PM we will have a reflection on environmental justice.